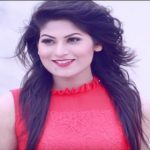 Orchita Sporshia is a Bangladeshi actress and model who predominately works in the television commercial in the country. She is also very popular on the small screen of Bangladesh; the actress comes to the timeline around the media industry with the Airtel present’s drama Impossible 5. Sporshia gets widely recognition within a very short time for her talented acting quality. Sporshia was born on December 8, 1992, in Dhaka, Bangladesh. She was very affectionate about the modeling from early childhood. Sporshia completed O Level and A Level from English medium. Then she enrolled at the University of Liberal Arts where she studied in Media Studies and Journalism. During her schooling, she used to read lots of books in an absence of her mother in the home due to mother’s job. Sporshia kicks off the journey in the media industry with the television commercial for the private telecom company Airtel. Suddenly in 2011, she participated in screen test of Airtel for their TVC by request of her friend Afzal. Following the day, she was called by the Airtel for their TVC. First of all, Sporshia acted in the ‘Airtel Dalbal’. Then she got lots of chance in career and performance in more than twelve television commercial of Airtel. Sporshia enters into the drama world with the Aurunodoyer Torun Dol directed by Samir Ahmed. Then she acted in popular drama Impossible 5. 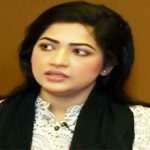 She showed her terrific performance in the television serial Ujan Ganger Naiya, which has established her name in the media industry of Bangladesh. Orchita Sporshia married a man after three months introduction with her husband. After a year, the couple called it over and finally they divorced.